It is with great sadness that we share with you that Joseph Hammond, professor emeritus of the Georgia Tech School of Electrical and Computer Engineering (ECE), passed away on August 6, 2017 in Pittsboro, North Carolina. He served as a faculty member from 1955-1984 in our school, which was known as the School of Electrical Engineering (EE) at that time. Before going to college, Dr. Hammond enlisted in the U.S. Navy at the age of 17 and served for several years. He earned his B.S. and M.S. degrees in electrical engineering from MIT and then earned a Ph.D. in the field at Georgia Tech. He taught electrical engineering and computer science at Georgia Tech for 30 years and then for another 15 years at Clemson University, but he always retained his interest in and identity with Georgia Tech. 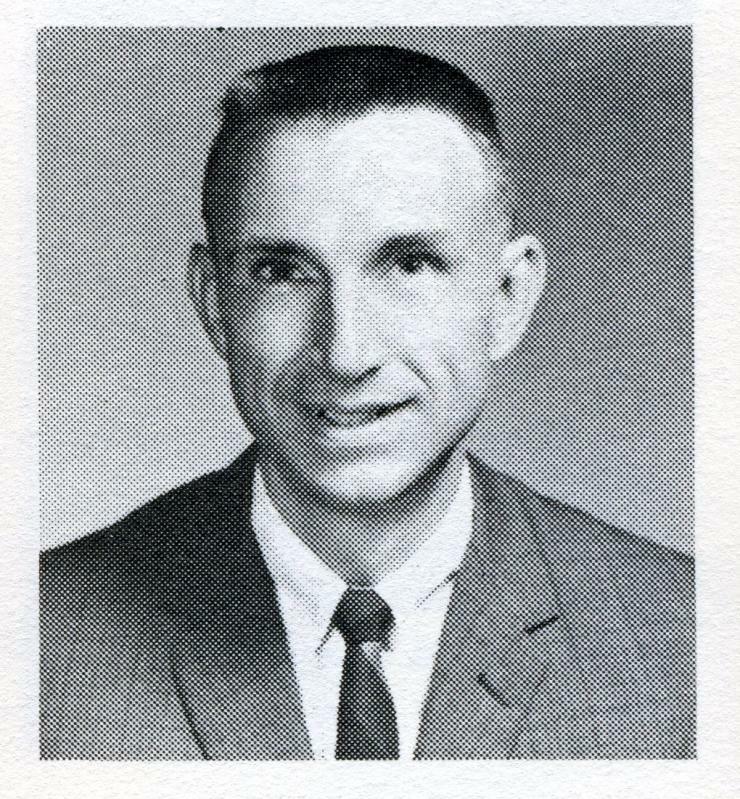 Dr. Hammond coauthored two engineering textbooks and was known as a warm, gracious, and encouraging professor and mentor who advised a record number of M.S. and Ph.D. students at both Georgia Tech and Clemson. His technical interests centered around information theory and control theory, and his research was primarily in communications and networking. He also pursued consulting interests with Bede Liu of Princeton University and did work in statistical reliability of systems with Dr. Liu. ECE Professor Emeritus J. Alvin Connelly remembers Dr. Hammond as a dear friend to whom he could turn to for advice, help, and guidance when he first joined the EE faculty in 1968. They also enjoyed playing tennis together regularly while they were both at Georgia Tech and after Dr. Hammond retired from the Institute. Dr. Connelly also recalls the many stories that Dr. Hammond would tell in the EE faculty lunch room, especially about his three daughters, that were told in a loving, folksy, humorous, and entertaining way. 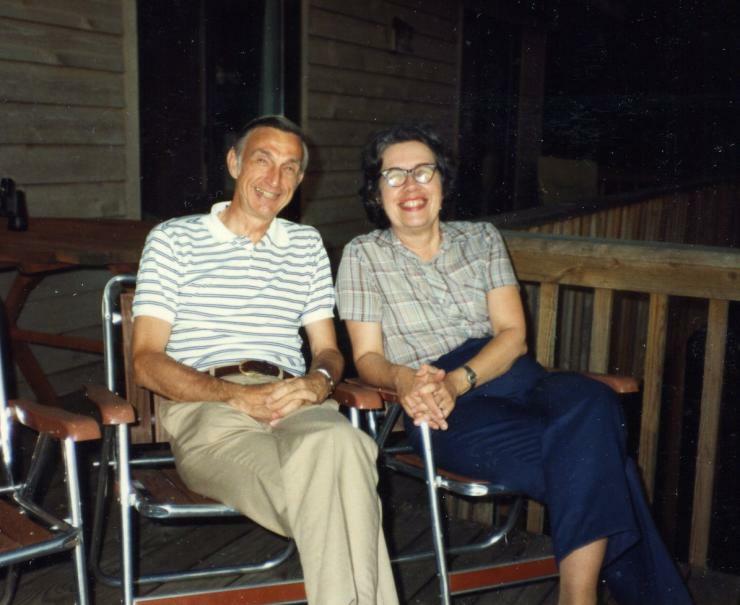 ECE Professor Emeritus Aubrey M. Bush remembers Dr. Hammond as being very personable and interested in all of his colleagues, and he and his wife, Edith, frequently hosted the periodic get-togethers of the electrical engineering faculty. At that time, Dr. Bush said that the School employed about 20 to 25 faculty members, and socials were held regularly in someone’s home. In addition to being an avid tennis player, Dr. Hammond was a master at playing bridge and was very knowledgeable in stock market investing. He and Edith were longtime members at Northside Baptist Church and Second Ponce de Leon Baptist Church, where Edith sang in the choir, and they held season tickets to the Atlanta Symphony for many years. If you would like to know more about Dr. Hammond or would like to make a gift in his memory, please see this obituary — http://www.legacy.com/obituaries/newsobserver/obituary.aspx?n=joseph-hammond&pid=186347214 — that was published in the Raleigh News & Observer. Please remember Dr. Hammond and his family at this time and in the days to come. ECE faculty and staff members and spouses enjoy a home social. 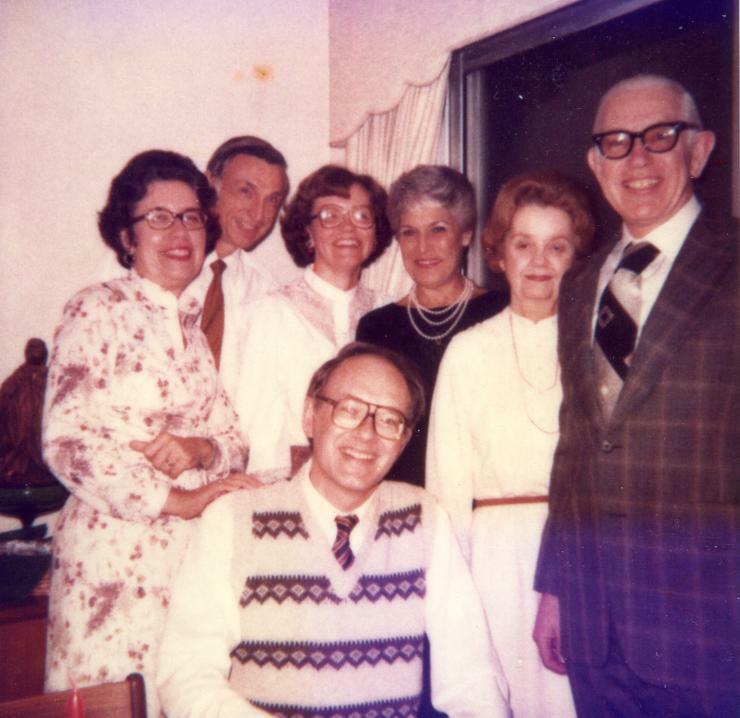 Standing left to right are Edith Hammond, Joseph Hammond, Jan Gaylord, Jean Shankle Wilson, Gloria White, and Tom White. Sitting is Tom Gaylord.